PinHawk newsletters are known for their powerful features and intuitive format. 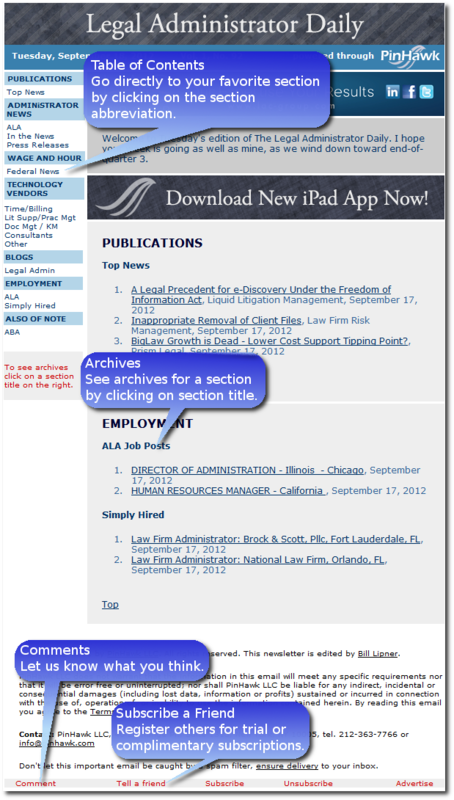 See the easy-to-use archive feature. PinHawk newsletters have an intuitive format and are easy to read. Thousands of subscribers read our subscription newsletters every day. Many thousands more read the private label newsletters that we generate and distribute on behalf of our clients. These newsletters require no explanation to scan, read, and click through to topics of interest.